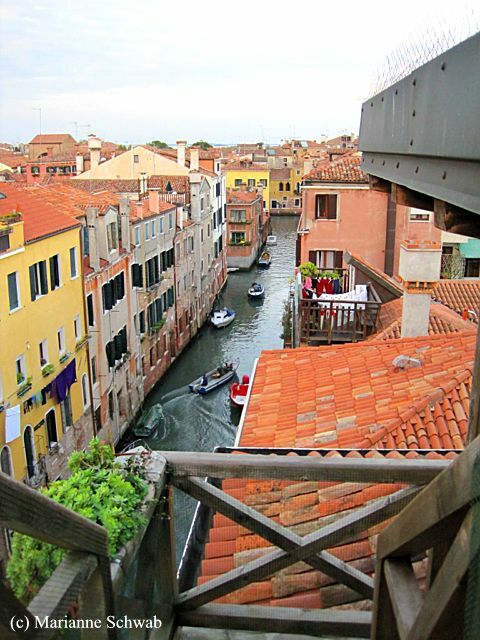 Venice, Italy is a wonderful city to explore on foot and via gondolas on canals. 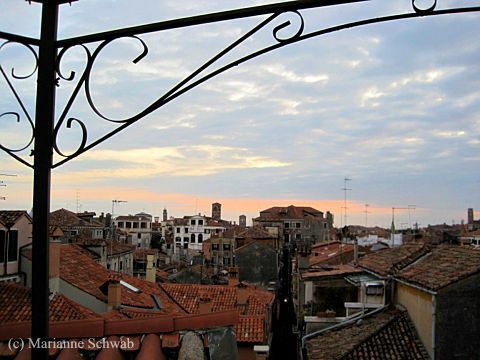 Get a view from the edge of a rooftop or bell tower and the vantage point is scenic and unique to this Italian city. 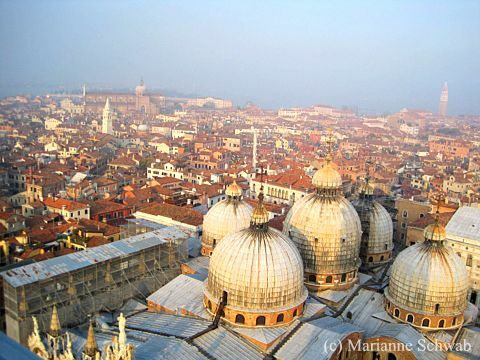 One of the best ways to get a rooftop view of Venice, Italy, is to go to the top of the St. Mark's Bell Tower across the way from the St. Mark's Basilica. You get a genuine birds eye view of the city. 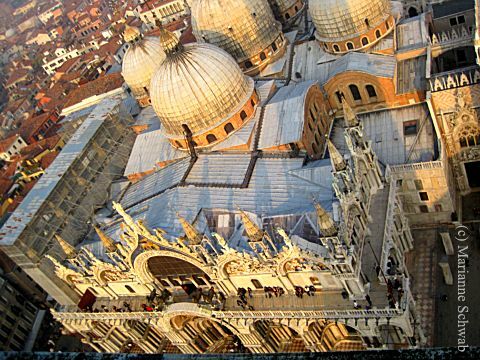 You can really zero in on the details of the rooftop of St. Mark's Basilica from the Bell Tower. Notice the people hanging out on the "balcony." 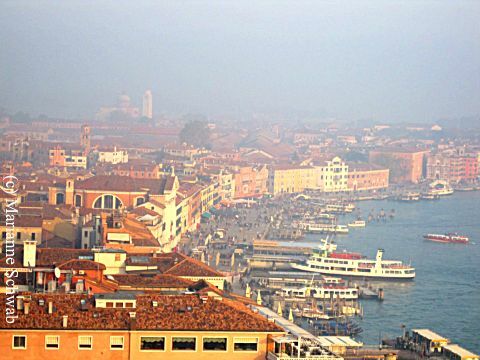 The panoramic view from St. Mark's Bell Tower gives you wonderful views of St. Mark's Basin. When you visit, don't miss the rooftop view from your hotel (if it has one.) Here are some views from the Hotel Ca D'Oro. Venice is one of my favorite cities I've ever visited and it's a great movie locations vacation spot. 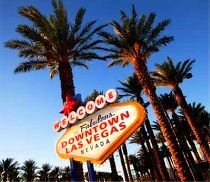 I hate when "jaded" travelers complain about it since it's one of the most special places on the planet. In fact, there are 29 things I like about Venice. If it's not on the top of your bucket list, it should be. Ciao!